Fly and flap as far as you can in this simple to learn and fun to play flappy game. Enjoy retro art, various Chubby Birds and work hard to earn all medals! 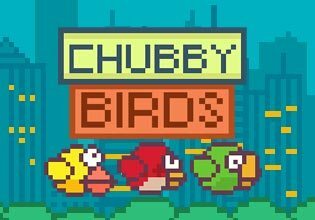 Can you help the Chubby Bird to fly to infinity? Tapp the screen to control the bird.